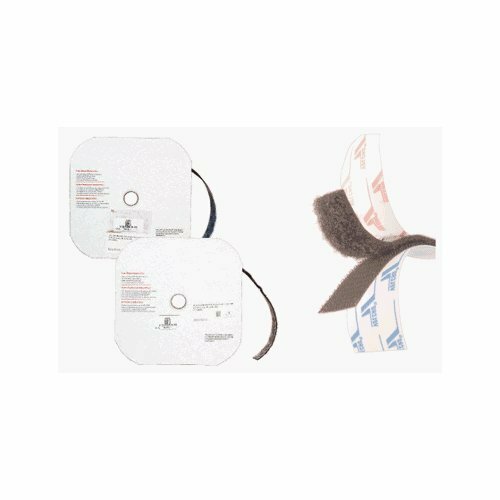 This 3 piece Hugg-A-Planet ISS Bundle set includes the same Pocket Hugg-A-Planet Earth, Hugg-A-Moon and Hugg-A-Mars globes as on the International Space Station (ISS). Delivered by the Japanese Launch vehicle HTV/H-IIB. The Hugg-A-Planet set arrived at the ISS on Sept 18, 2009 and are scheduled to remain there untill 2020 or longer. 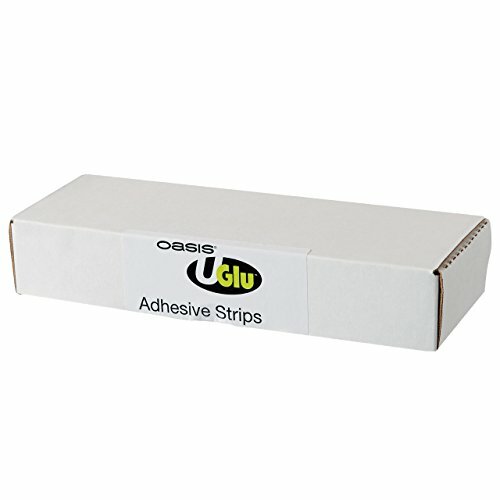 The 3 piece set aboard the International Space Station has traveled over 700 million miles orbiting Earth, and the identical set available here includes all of the following. 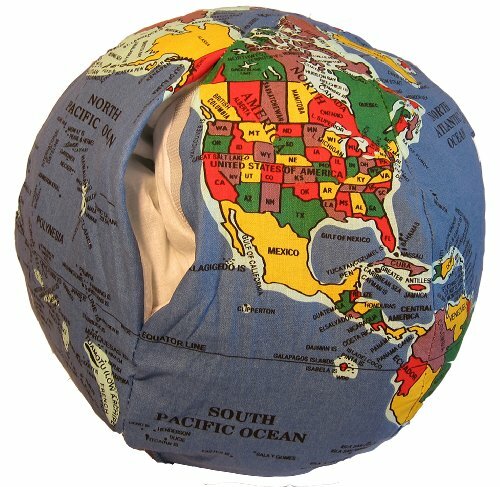 One of the award winning Pocket 12″ Hugg-A-Planet® Earth. 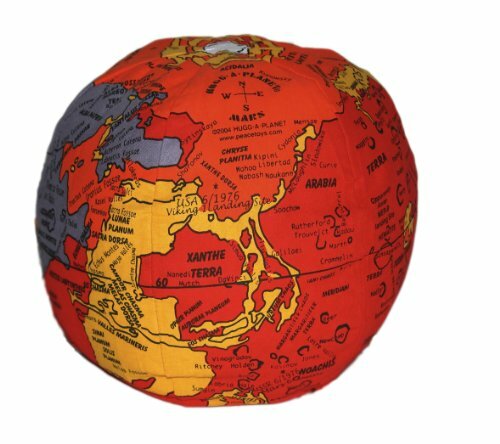 Same artwork as our Classic with over 600 places labeled this Hugg-A-Planet also includes a 6″ deep Velcro pocket. One of our super detailed 9″ Hugg-A-Mars. 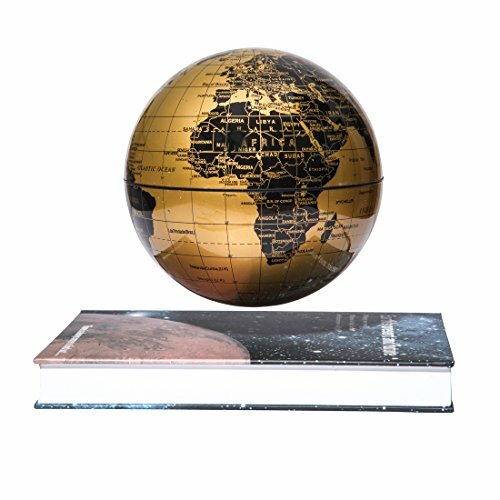 The most detailed globe of Mars available. Visit The “Red Planet” with over 400 places labeled, this Hugg-A-Mars is proportional to the Classic and Pocket Earths. Now the red planet is yours to hug, hold, to hurl, hang, study or learn. 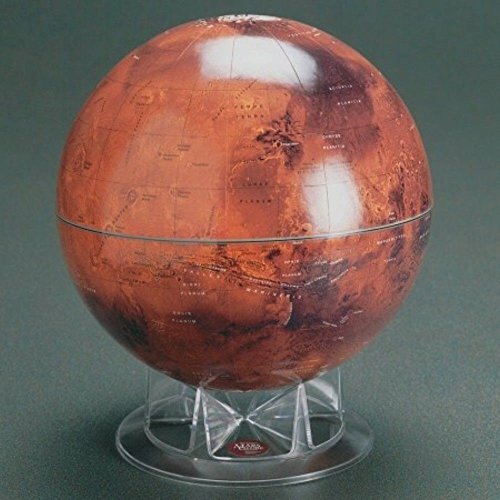 The shell of this soft, stuffed, Globe of Mars shows large craters, small craters, winding valleys, and other landforms. And one of the very detailed 3″ Hugg-A-Moons, featuring over 100 lunar labels, there are craters, lunar landing sites, and other locations from our Moon. This beautiful Hugg-A-Moon is made in proportion to our Hugg-A-Planet Classic and Pocket versions. Save big by purchasing some of our favorite Hugg-A-Planets together. 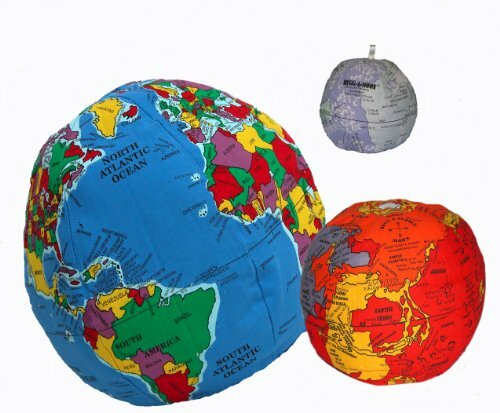 Perfect for classrooms, play rooms, bedrooms or nurseries these beautiful, simple reference globes are meant to inspire space exploration, peace, and geo-learning.